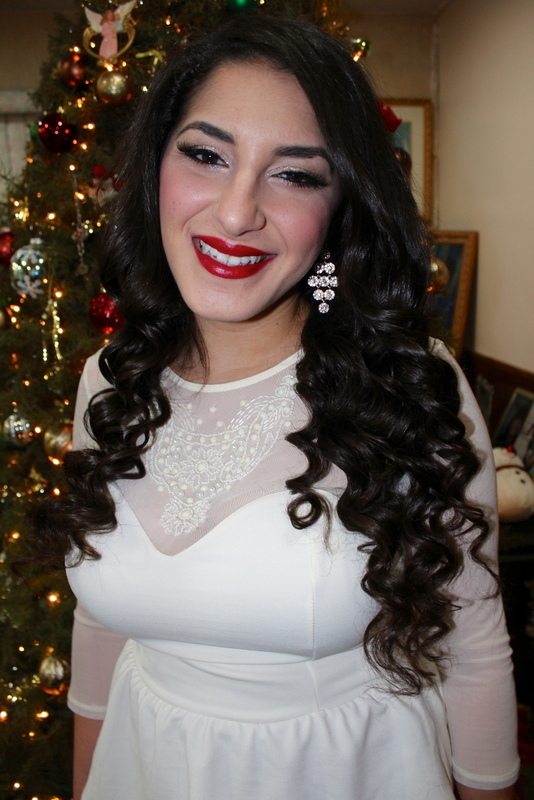 Viola Beauty: OOTD: Red & White Sparkle! 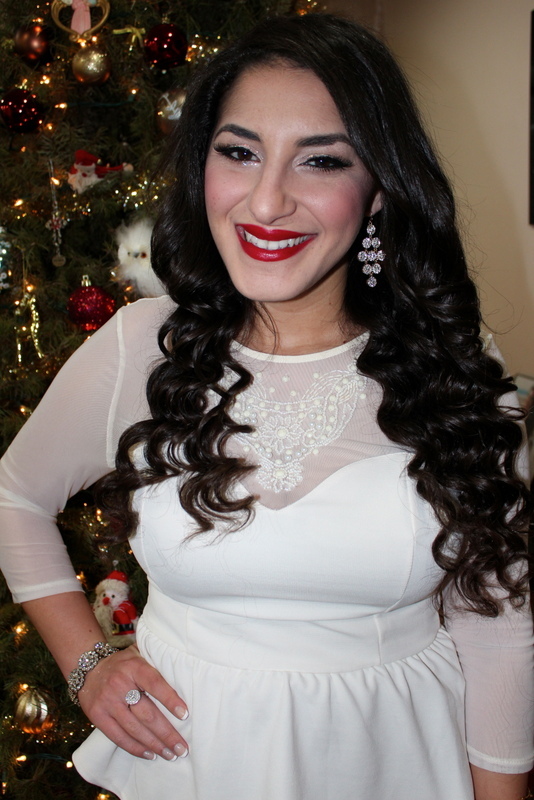 OOTD: Red & White Sparkle! 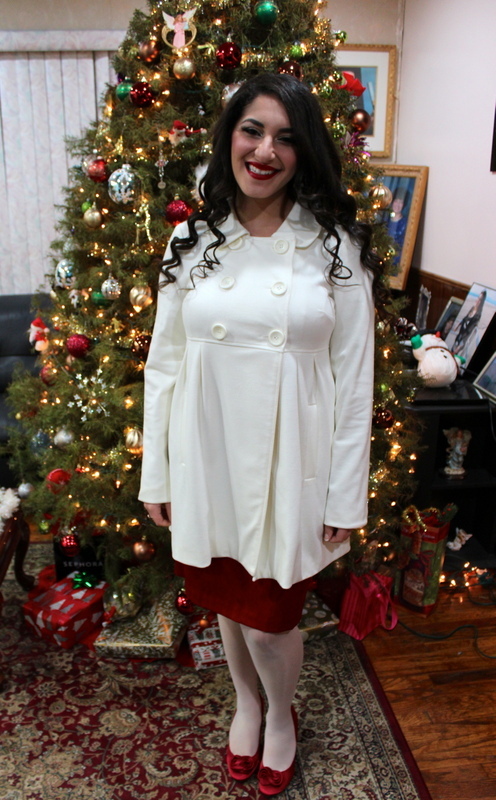 I celebrate Christmas on January 7th, and this is the outfit I wore to the church service the evening before. Although red and white are associated with the holidays and it's nearing the end of January, this color scheme could also work well for a Valentine's Day outfit! You can never have too much holiday sparkle! 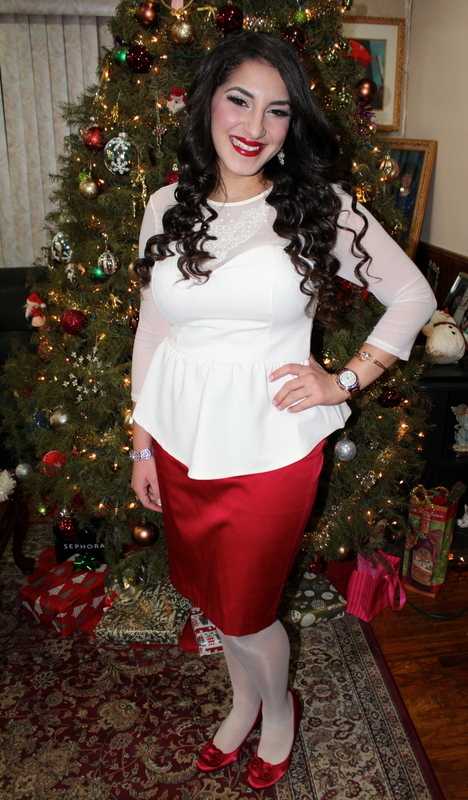 I paired this white peplum blouse with a red satin skirt. 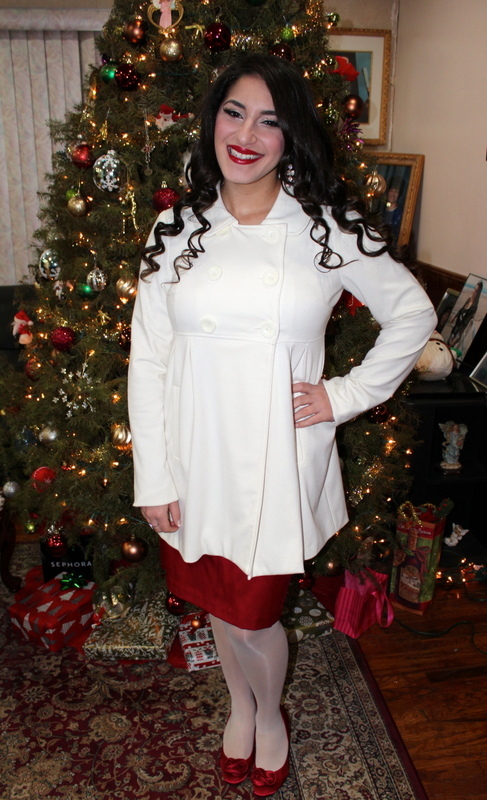 It was freezing, so I decided to continue color blocking with white tights and red satin heels. The back of the skirt has panelling down the center, which adds something extra to the look. I like that the blouse hangs lower in the front and back than on the sides. It gives it an interesting flair at the hem. I absolutely love the sweetheart neckline with the sheer sleeve detailing of the blouse! 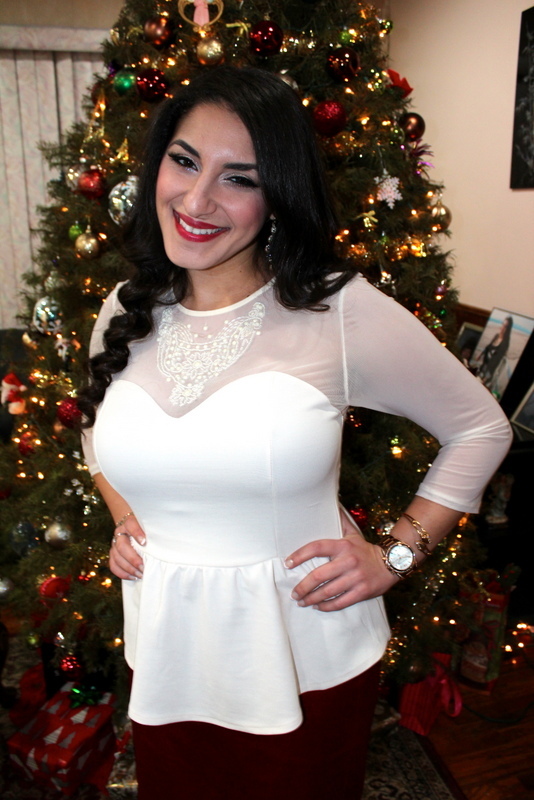 The beading on the sheer part of the blouse really made this blouse a winner in my book for Christmas. For jewelry, I wore my rose gold Michael Kors watch, an 18k gold bracelet from Egypt, floral rhinestone bracelet, and a flat rhinestone ring. I also wore rhinestone chandelier earrings for the ultimate sparkle factor. 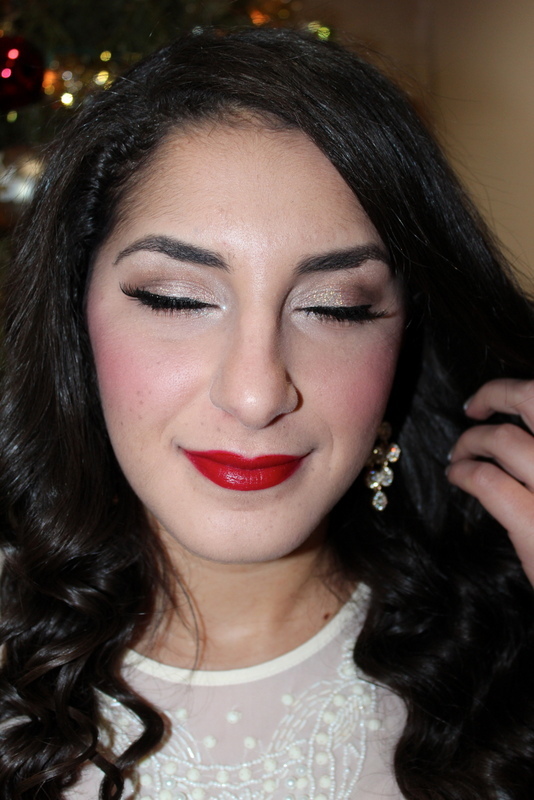 For makeup, I kept it neutral yet dramatic on the eyes with gold glitter, false lashes and red holiday lips. 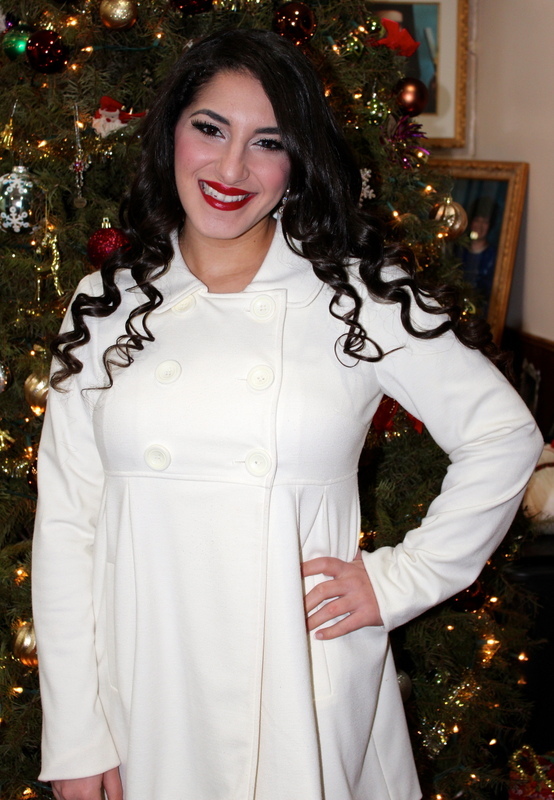 I also threw on a white coat to keep me warm until we got to church. Goodness gracious, you're hot! Your makeup looks great, too. I nominated you for the Liebster Blog Award. :D The newest post on my page has the information if you'd like to participate!